Capture the essence of elegance, romance and passion with this stunning box of 50 red and pink roses carefully put together with effort and detail one by one to create a smooth dome shape. The arrangement in the photo is 50 roses in our Medium size box. DISCLAIMER: These are fresh cut flowers and are perishable. 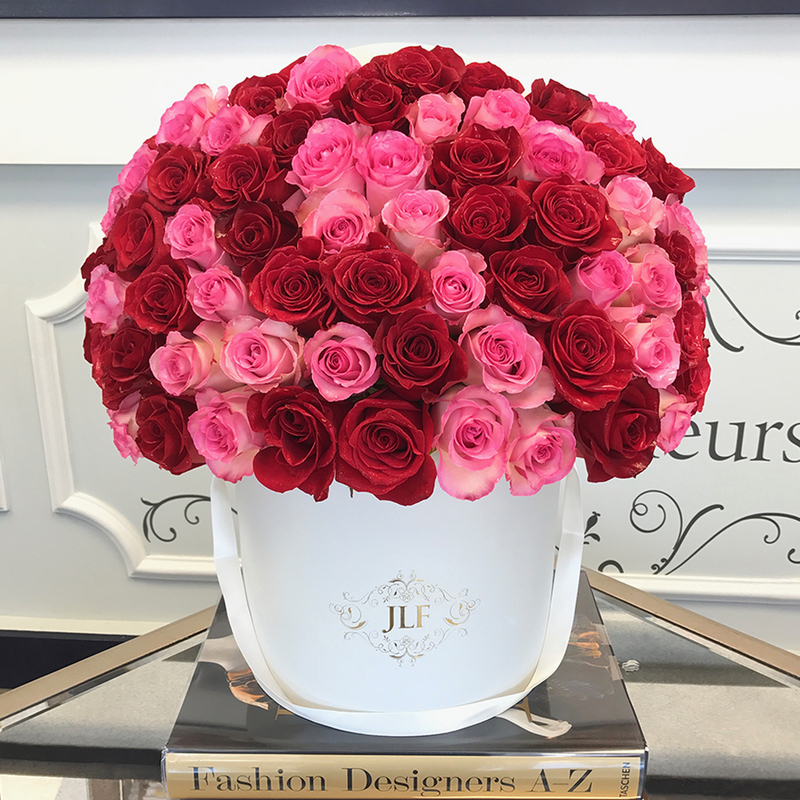 Please follow care instructions in "Care & Handling" for "JLF Fresh Flowers in Signature Boxes" in the JLF Los Angeles the JLF Los Angeles website.